A 34-year-old man, Albert Silvanus Uso, has been arrested by the Akwa Ibom State Police Command for allegedly using a hot knife to make scars on his step son identified as Victor, on the allegations that the boy is a wizard and the one responsible for the woes that has been befalling his family, Ibom Media reports. 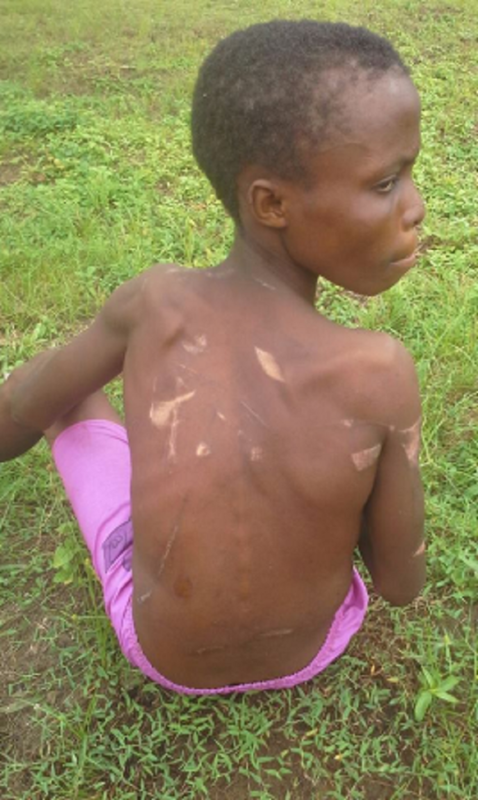 The arrest of the suspect who is from Esit eket Local Government Area of the state, was at the instance of the Child Rights and Rehabilitation Network (CRARN), a non-governmental organization that rescues and cater for the welfare of abandoned children often accused of witchcraft by their families. According to the report, Uso, in trying to make the boy confess to being a wizard, steamed the knife in the fire and used it to burn his stepson on different parts of his body, after tying him to make sure he does not escape. The Divisional Police Officer in charge of Eket Division, Abdulkadir Jamal, confirmed the arrest of Uso, saying that his men had to go after Uso because he had warned that child witch-branding and torture was not acceptable anywhere in the world. “The Police have frequently warned that people should not hide under any guise to abuse children. We will do everything under the law to arrest and prosecute any offenders. Uso was arrested in Efoi-Eket after CRAN lodged a complaint at the Eket Divisional Police Headquarters, after it had rescued at a market when he crept out of the bush to scavenge for food after the close of the market. He told the CRAN officials that he had been in the bush for several days without food and survived by eating raw leaves and unripe fruits.